Open banking is the concept of leveraging open APIs to enhance existing digital offerings as well as bringing new digital offerings to market. For this to happen banks will need to open their data and develop, manage, and maintain secure APIs that third party providers may consume. In Europe, the PSD2 directive required banks to create this opening prior to January 13, 2018 . In doing so banks are able to partner with Fintech firms to better serve their customers, cross-sell other products, and attract new customers. 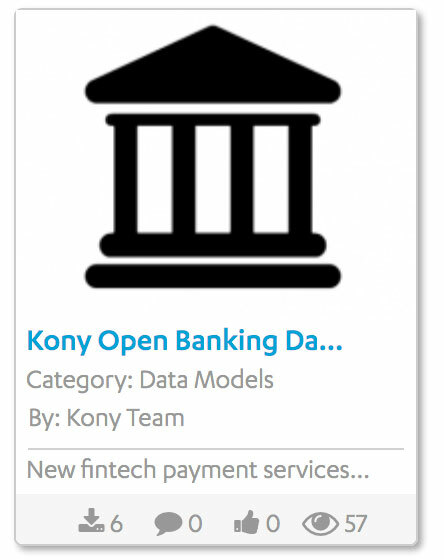 Kony is a recognized leader in Mobile Banking powered by the API management and enterprise integration capabilities of the Kony platform. Our banking solutions are built on a robust and extensive API model aligned to both the PSD2 directive and The EU General Data Protection Regulation (GDPR). It is then integrated into your existing enterprise backends using Kony's mapping and transformation capabilities. This PSD2 API model serves as an API template or blueprint to quickly deliver open banking APIs against your existing systems. External development teams and partners then discover and test your open banking APIs using a fully customizable API Developer Portal provided as a part of the Kony platform. A Leader in The Forrester Wave™: Digital Experience Development Platforms, Q2 2018 report. A Leader in the new 2018 Gartner Mobile App Development Platforms MQ – Six years in a row! A Leader in The Forrester Wave™: Low-Code Development Platforms, Q4 2017 report.